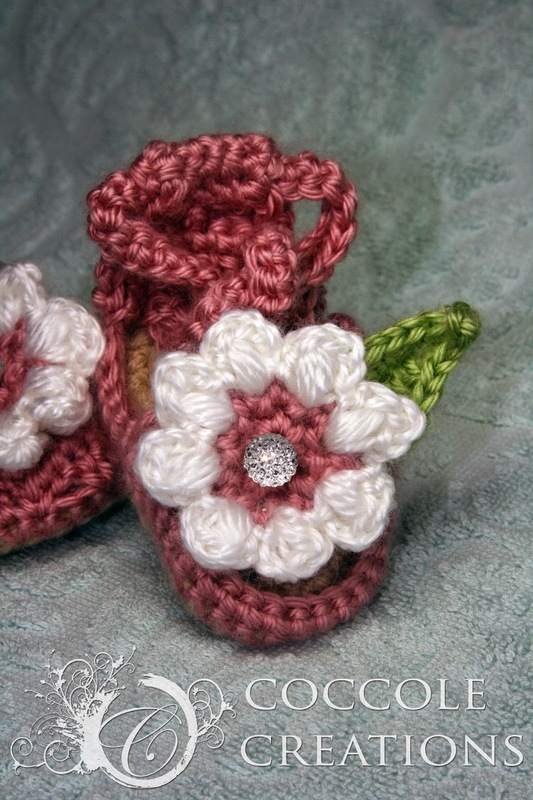 I finally finished these adorable baby girl sandals. 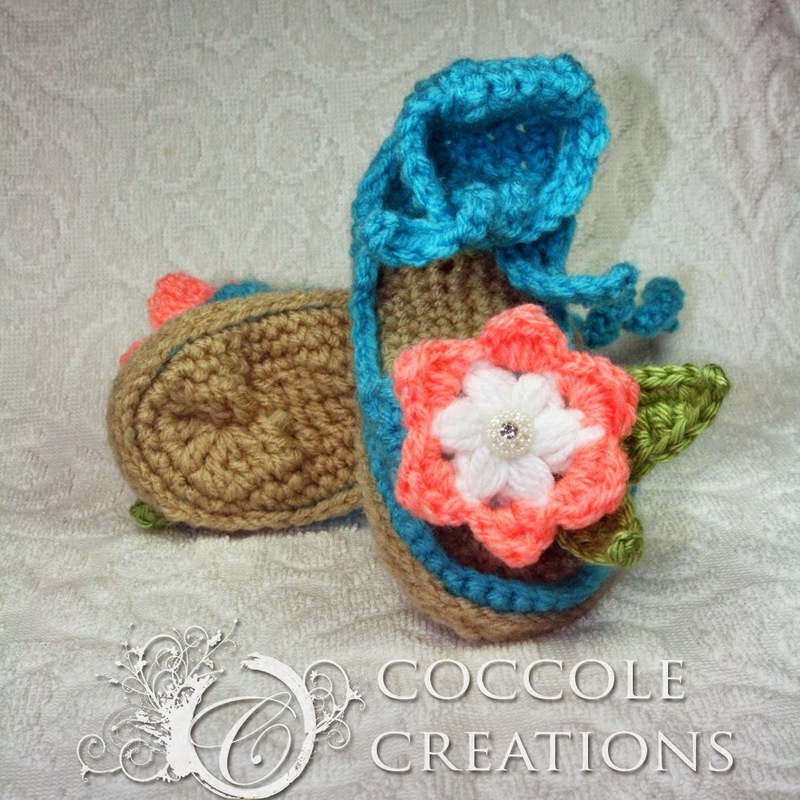 I used Whistle and Ivy's pattern for Bitty Bow Baby Sandals but chose to add a flower embellishment to the top instead of the bow. 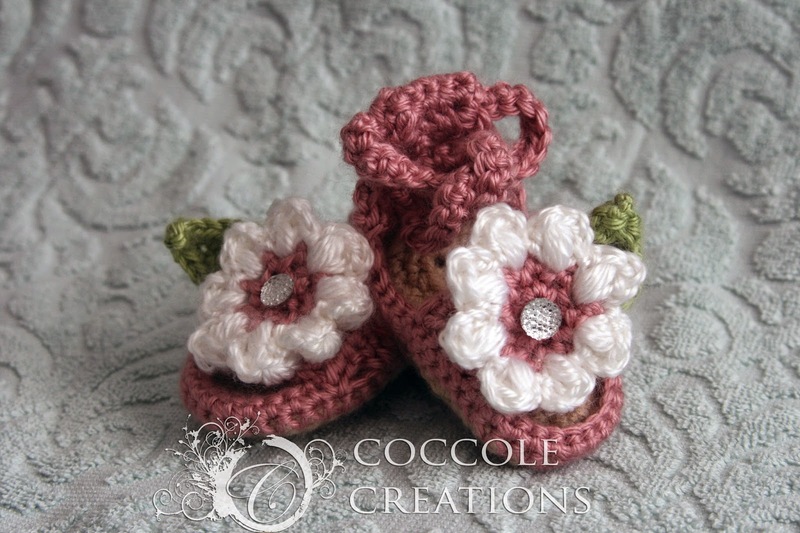 They are for sale on my Etsy shop or you can make them by following the pattern provided. 2. Make picot by ch3, slst into 3rd ch from hook. 3. Now working along the opposite side of the leaf, sc into first 2ch, hdc into next 2ch, dc into next ch, htr into next ch, dc into the next ch, sc into last ch. 4. Fasten off and leave a nice long tail to sew your leaf onto whatever you are embellishing. 2. Chain 4, *skip 1 sc, dc in next sc, ch 1, repeat from * 6 more times. Join with slip st in 3rd chain of first ch 4. Tie off color. 3. Join new color to first chain loop with a slip stitch, work sc, dc, trc, dc, sc in each ch 1 loop, making eight petals, slip stitch in first sc.